Today in Masonic History Samuel Bard is born in 1742. Samuel Bard was an American doctor. Bard was born on April 1st, 1742 in Philadelphia, Pennsylvania. He first studied at Columbia University in New York before setting sail for Europe in 1761. In Europe he sought a more extensive medical education. He spent a total of five years in Europe traveling to France, England and Scotland. He would eventually receive his MD from the University of Edinburgh in 1765. When Bard returned to the American Colonies, he found that his father was in debt from the education that Bard had received. Bard's education had cost his father several thousand pounds. Bard entered into a business partnership with his father in Hyde Park. For three years he worked to pay down his debt. He drew only enough salary from the business to pay his personal expenses. In the first year after Bard's return to the Americas, he had laid out a plan to establish a medical school in New York City. While Bard had been working off his own debt, the school was established and in 1769, the school gave out it's first medical degrees. At the same time, Bard had founded the first hospital in New York City. Unfortunately the building was burned to the ground and it was not fully established until 1791. During the American Revolution, Bard fled the city with his family. He set his family in his father's home and then returned to New York City on his own. There he engaged in his profession while British troops occupied the city. When the American Revolution ended, George Washington appointed Bard his family physician. Unfortunately Bard's family fell ill due to an outbreak of Scarlet Fever. He would lose four of his six children and his wife would fall ill. He withdrew from business to treat his family. In 1784, he returned to New York City. In 1798, with the intention of retiring from business, Bard returned to Hyde Park. Around that time there was a yellow fever outbreak. Bard did not hesitate to help the sick. Unfortunately he contracted the disease. His wife nursed him back to health. For the rest of his life, after the yellow fever outbreak, he would spend his time in happy retirement. 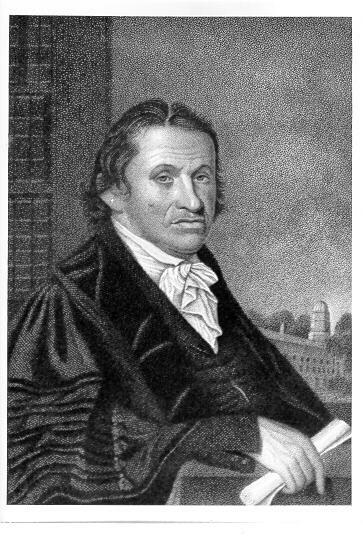 In 1813, he was appointed the President of the College of Physicians and Surgeons. Bard passed away on May 24th, 1821. He passed away from pleurisy, a respiratory disease. Bard was a member of Union Lodge in New York City, New York.